This decade has seen the launch of many SUV’s in the global market from almost all the automobile companies present in the world. Following the same trail is the Czech Republic’s luxury car maker Skoda Auto, who is planning to introduce a couple of SUV’s to increase the competition as well as to strengthen their market share in the global car markets. These vehicles would be introduced somewhere around 2 to 4 years from now. Apparently this automobile giant had declared at the 2011, Frankfurt Automobile Show that the company would be launching at least one new model every six months. Now this expected launch of the SUV’s is anticipated to be a part of the same plan by the company. It appears that, their latest SUV – the Skoda Snowman will be introduced in the global car market somewhere in the year, 2014. The other SUV, which is probably going to be a little smaller on the lines of the prevailing Skoda Yeti, would be introduced around the year 2016. The company’s sole SUV – the Skoda Yeti, which is a stylish yet compact has a very sporty look and its distinctive design coupled with a full-bodied appearance makes it look magnificent as seen in the Skoda Yeti pictures. It comes housed with a performance packed and powerful 4-cylinder, 16 – Valve, DOHC, 2 – liter turbo charged diesel engine, which is liquid cooled and has a high pressure direct injection system as stated in a Skoda Yeti review. This dominant engine is coupled with a 6-speed fully synchronized manual transmission gear box for smoother driving comfort. 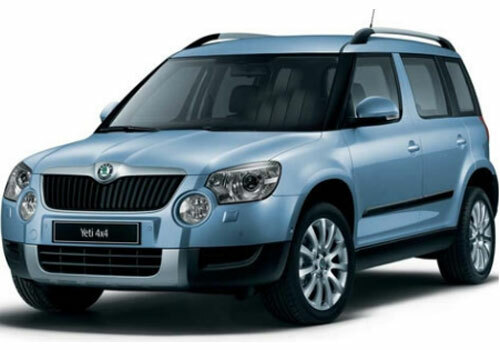 Skoda Yeti price in India is starting at Rs. 13.46 lakh, which is the ex-showroom price of New Delhi. This SUV is only available in a diesel version with an option of 2-wheel or a 4-wheel drive to choose from.